The Independent National Electoral Commission (INEC) in Lagos State, on Wednesday, said it received 166, 575 Permanent Voter Cards (PVCs) of new registrants and distributed over 4,000 PVCs in a week. Sam Olumekun, the INEC Resident Electoral Commissioner in the state, told journalists after a meeting with the Inter Agency Committee on Election Security in preparation for 2019 elections. 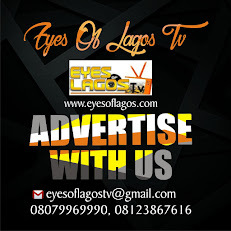 Eyes Of Lagos reports that representatives of various security agencies, including Police, Department of State Security (DSS), the Nigerian Army and the Nigerian Air Force were at the closed door meeting. Others were the Nigerian Immigration Service, Nigerian Prison Service, Federal Road Safety Commission (FRSC), the Nigerian Security and Civil Defence Corps, (NSCDC) the National Drug Law Enforcement Agency (NDLEA) among others. “As we speak, we still have about 1.3 million PVCs uncollected since 2015. But for the new CVR (Continuous Voter Registration) that we have been doing since the first quarter of 2017, we have taken delivery of the cards of those who registered in 2017. “As I speak, we have collected 166, 575 PVCs and in the past one week, we have distributed over 4,000 and we have a balance of about 162, 000 as at Monday. “People should know that these cards are available at the local government offices of INEC and they should endeavour to collect their cards in preparation for the election,” Mr Olumekun said. On bringing the cards closer to the people, the commissioner, who urged registered voters to visit the designated councils, said that the process of collection was not stressful. According to him, considering the volume of the cards, the commission will look for a way of moving into the field to bring them closer to the people. “We will see how we can tackle this matter, the commission in the state will come up with a formula to improve the collection,” Mr Olumekun said. He said that the commission had taken delivery of all the PVCs of registered voters in 2017, adding that those registering in 2018 would get theirs before the 2019 general elections. The REC called on the media, political parties, civil society organisations and other stakeholders to mobilise registered voters to obtain their PVCs. The INEC boss, who noted that the commission would never subvert the will or the rights of the people during elections, said it was ready to deliver a free, fair, credible and acceptable elections. He said that the CVR exercise had been on all the designated centres across the state, assuring that all registered voters would get their PVCs before the polls. On security, Mr Olumekun said that the commission had been and would continue to collaborate with all security agencies to achieve its mandate in 2019 and beyond. He said, “Security is critical in any election and that is why we are meeting, interacting and collaborating ahead of 2019 general elections. “The essence of today meeting is to plan so as not to fail in 2019. This is part of our planning and preparations for the general elections of 2019. “We discussed preparations of INEC so far, and we sought their (security agencies) collaboration. Of course, they have always collaborated with us in the past and have done so beautifully. He said that INEC was carrying all security agencies along to ensure global best practices in the conduct of the 2019 general elections. Mr Olumekun urged politicians to allow the people to speak through their votes during elections and shun all forms of violence and inducement.